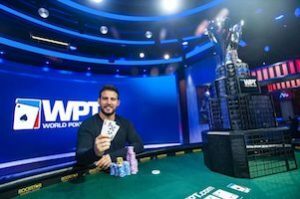 Participating in the inaugural WPT Bobby Baldwin Classic, Darren Elias was able to outlast the field of 162 players to claim his fourth title from the World Poker Tour Main Tour. The Aria Resort & Casino in Las Vegas played host to the event, with several former champions of the WPT in attendance. Also there, WSOP winners like Phil Helmuth. A total prize pool of $1,555,200 was up for grabs with Elias earning $386,580 for his efforts. When the final day of play began, Elias was the chip leader and showed no signs of slowing down. He pushed forward and was able to enjoy a smooth ride to the win. Two other players, Sam Panzica and Jonathan Little, were hoping to see the final table result in their 3rd WPT title win. But it was not to be, as both were the first to leave the table. In the end, it was Elias and Kitty Kuo going head to head to see who would claim the title. Elias had a 3 to 1 chip lead over Kuo going into the final round, yet Kuo would not give up that easily. The heads-up round would last for three hours before the final hand would go down. On the final hand, Kuo would go all-in and Elias would immediately call. Elias would show A-10 off-suit while Kuo held A-5 off-suit. The board fell 4-J-8-7-2 giving the hand to Elias and Kuo was eliminated in 2nd place. Even though she didn’t earn the win, Kuo was able to take home a prize of $248,380. Elias got to compete in the World Poker Tour Tournament of Champions at the Aria (which started the week before last) due to his win. Other champions of the WPT took part to see who will be named the best of the best for Season XVI of the WPT. 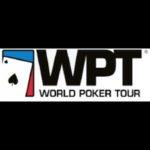 *First place includes a $15,000 seat to the season-ending WPT Tournament of Champions.